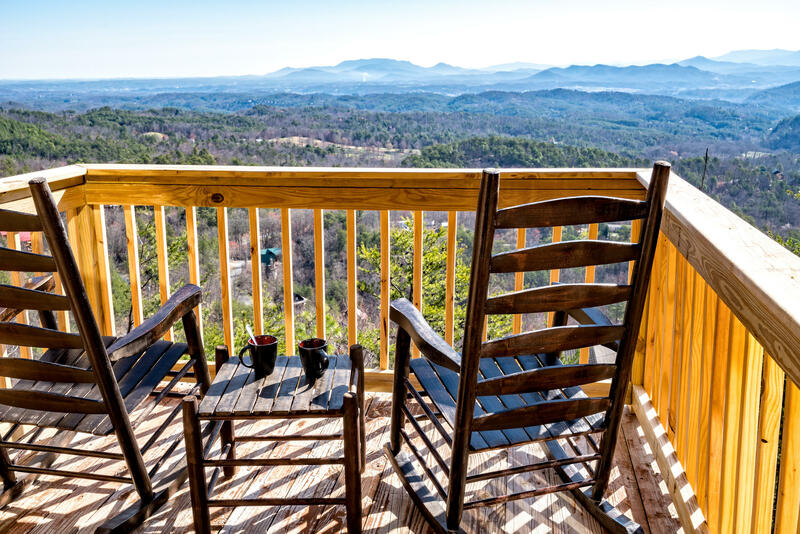 Planning a honeymoon or romantic weekend escape to a place with views to die for? 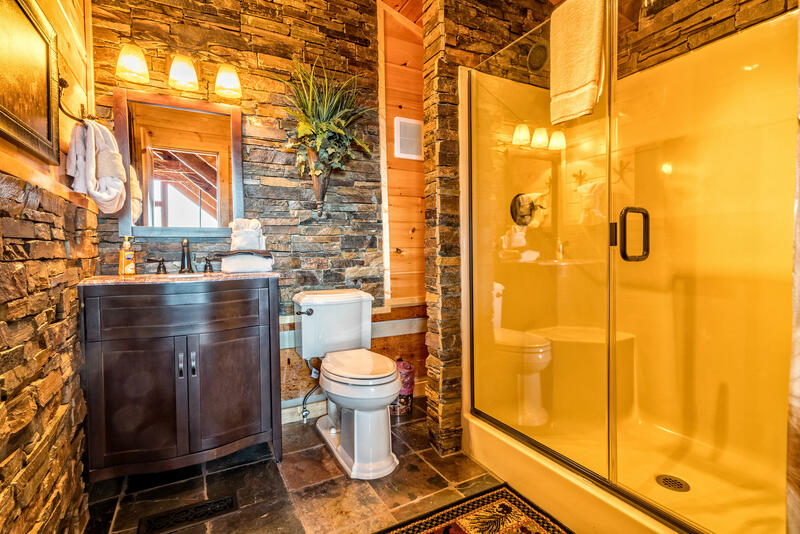 Look no further than our rustic cabin Ooh Myy. 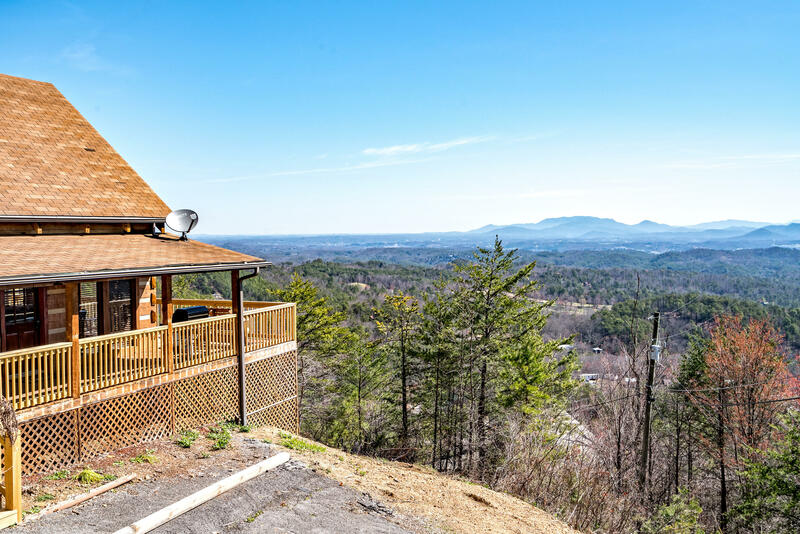 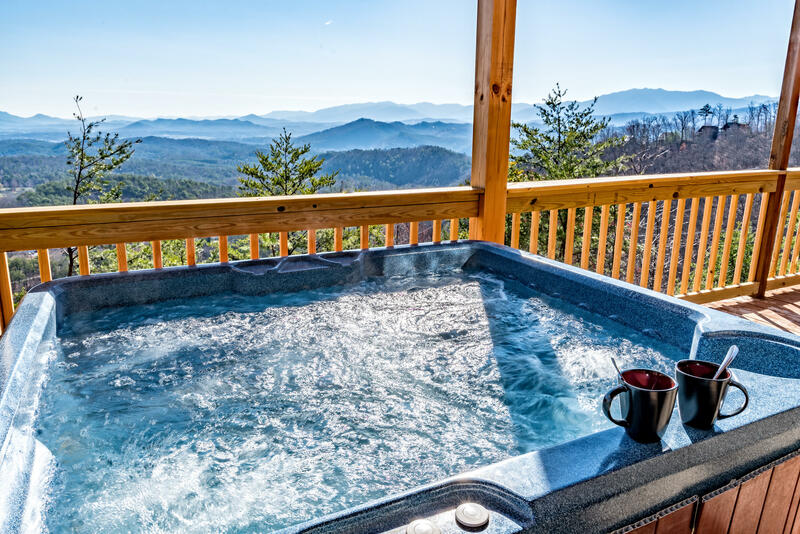 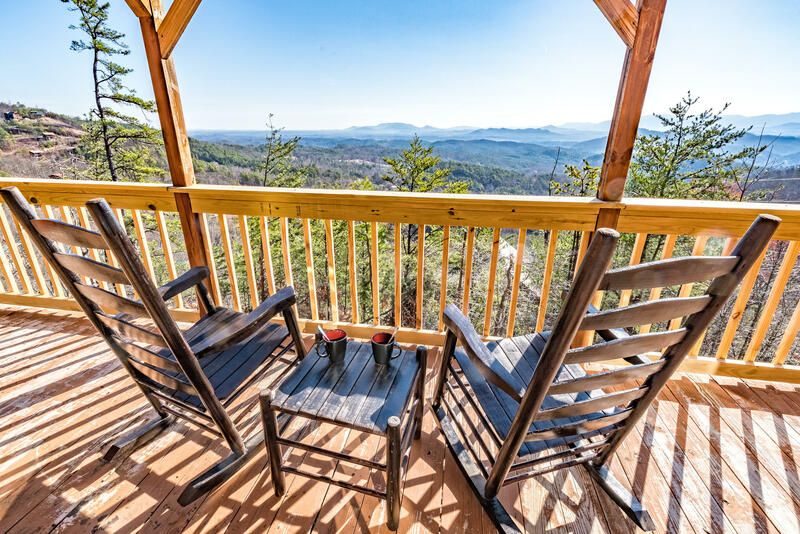 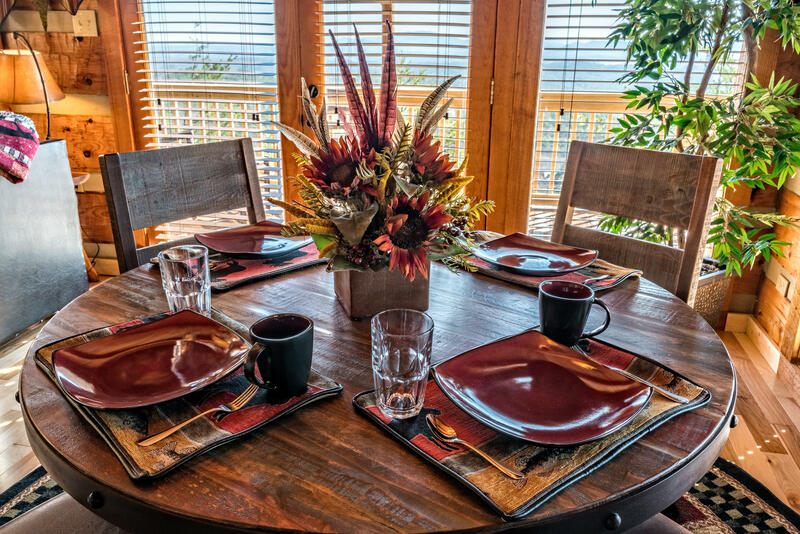 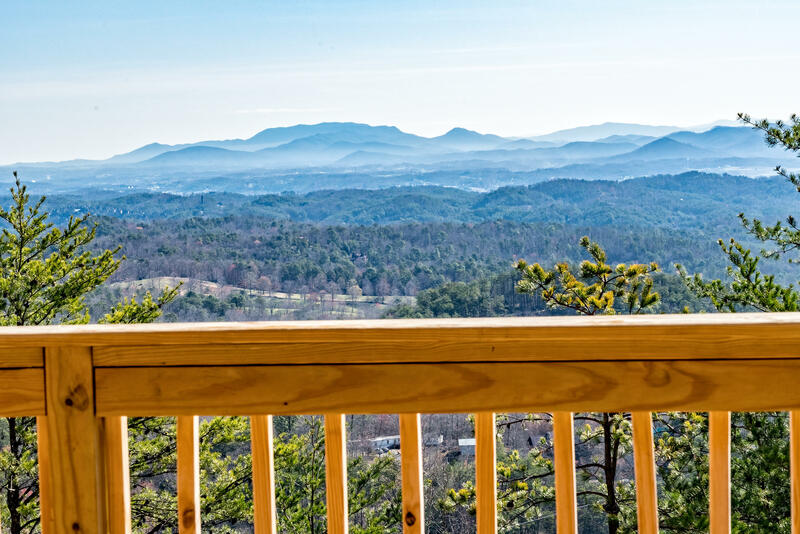 This perfectly situated one bedroom/ two bathroom cabin is located high in the mountains providing views that will steal your breath away while still being only a short ride away from the numerous entertainments of Pigeon Forge and Gatlinburg. 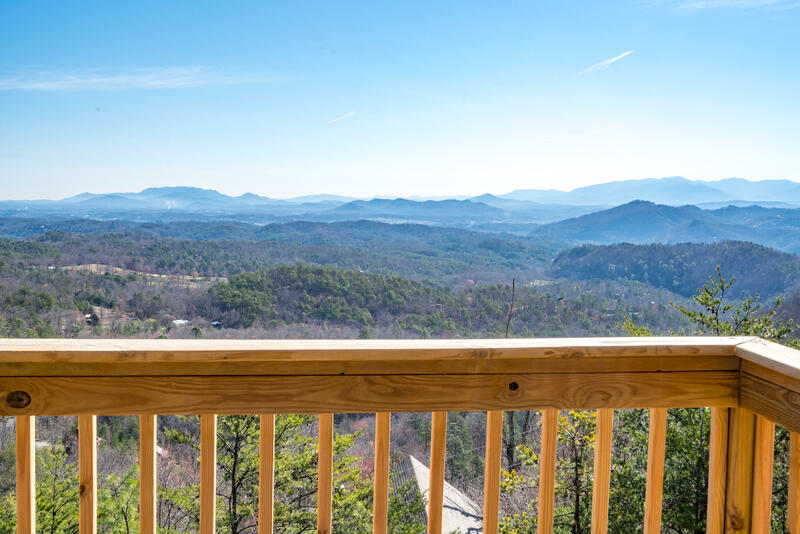 When first arriving at Ooh Myy, you can’t help but pause to gaze at the beauty of the mountain vistas before you. 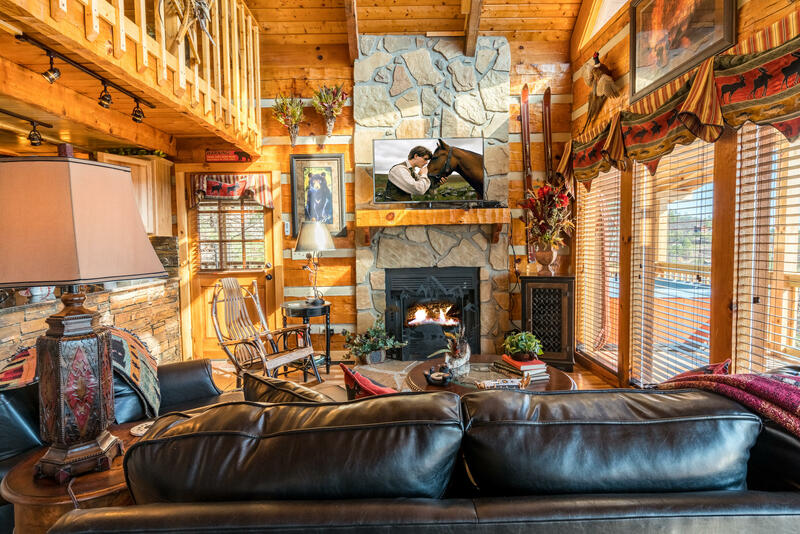 However, the views are not the only thing about this cabin for you to savor. 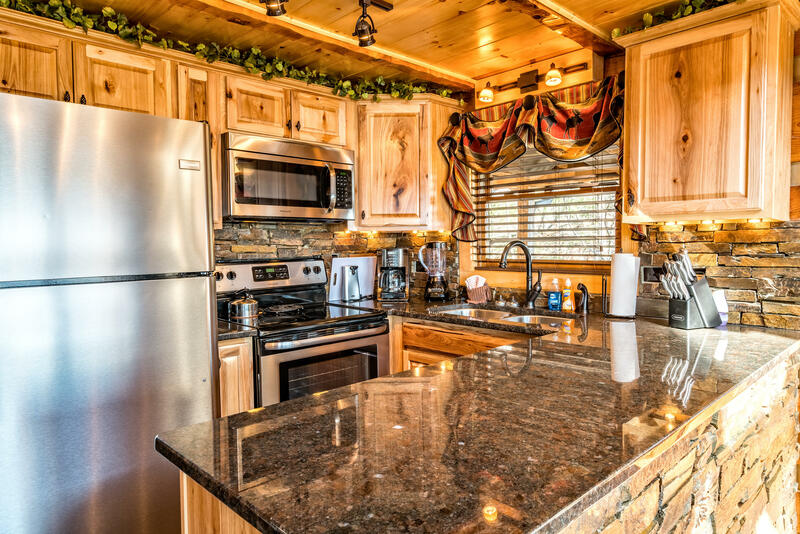 The cabin itself is furnished to the brim with amenities. 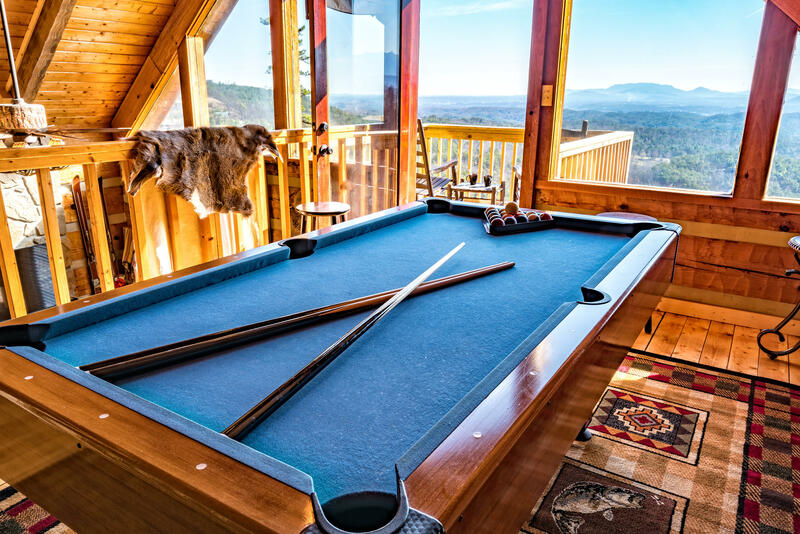 In the downstairs area, there is a pool table; a large flat screen TV with HD DirectTV, and PS3 with 10 games; electric fireplace; and a fully equipped kitchen. 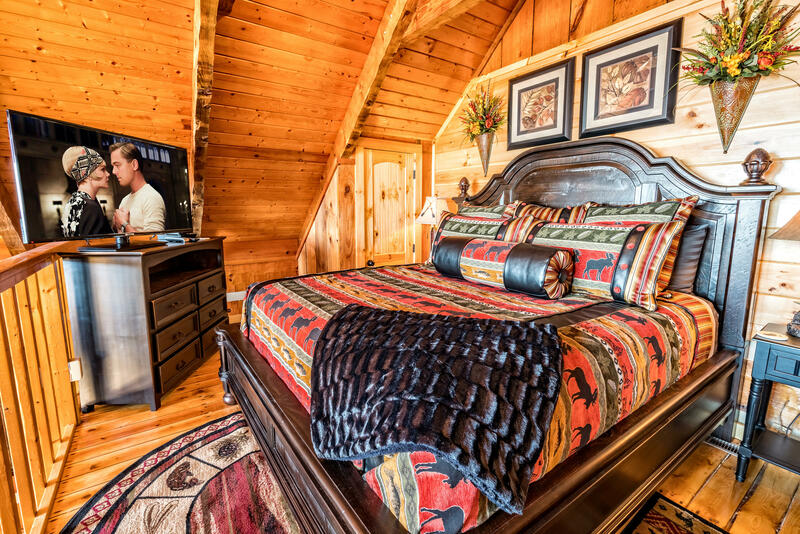 Also located downstairs is a queen sized bed in case you wish to make it a couples’ weekend. 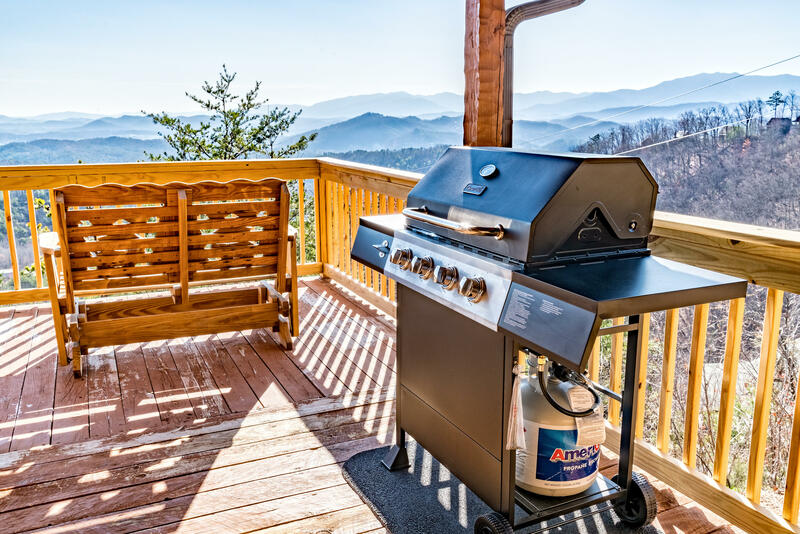 Outside on the downstairs porch you will find plenty to keep you entertained: a charcoal grill to make a tasty dinner; a double rocking chair built for two in case you desire to kick back for a while and snuggle your beloved; and a hot tub, perfect for warming up in the cool of the evening and relaxing the night away, all while enjoying the marvels of nature around you. 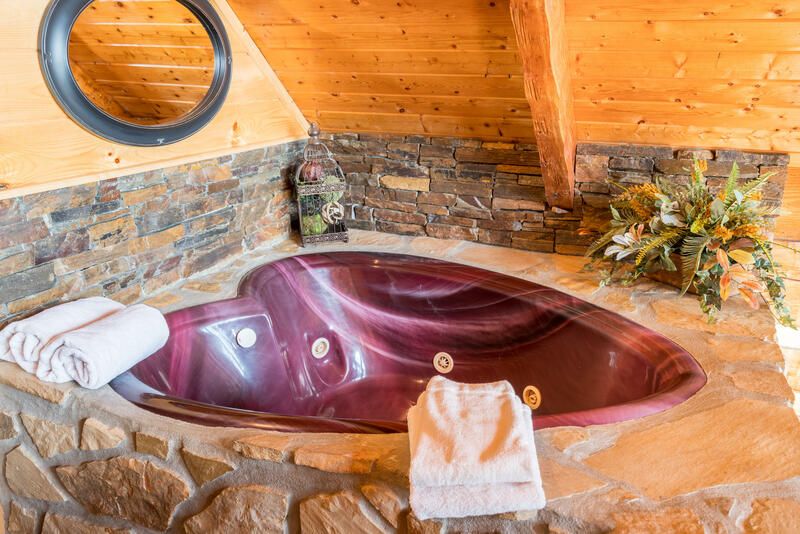 And after a long day of relaxing, move on up to the bedroom on the second floor via the unique tree-lined staircase, and enjoy winding down in the jacuzzi tub encased in stunning stone work. 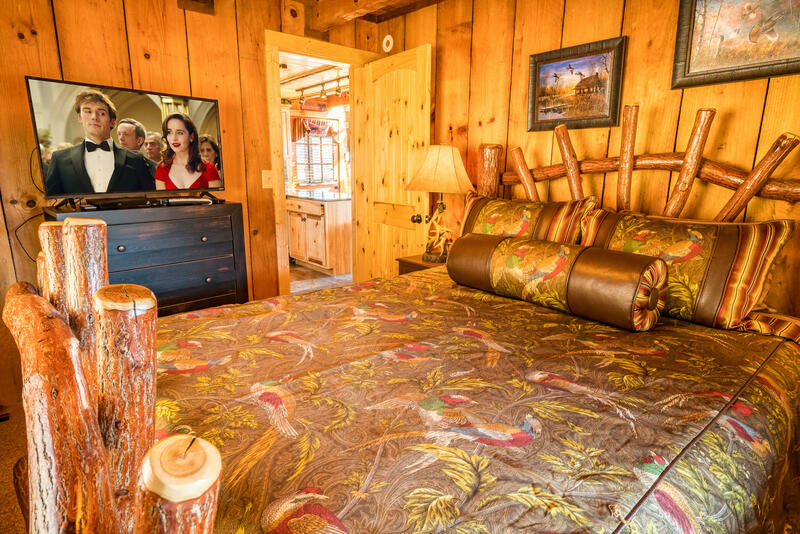 After bathing, slip into the king sized bed, turn on the flat screen TV and watch a movie or some television shows and spend some quality time with the one you love most. 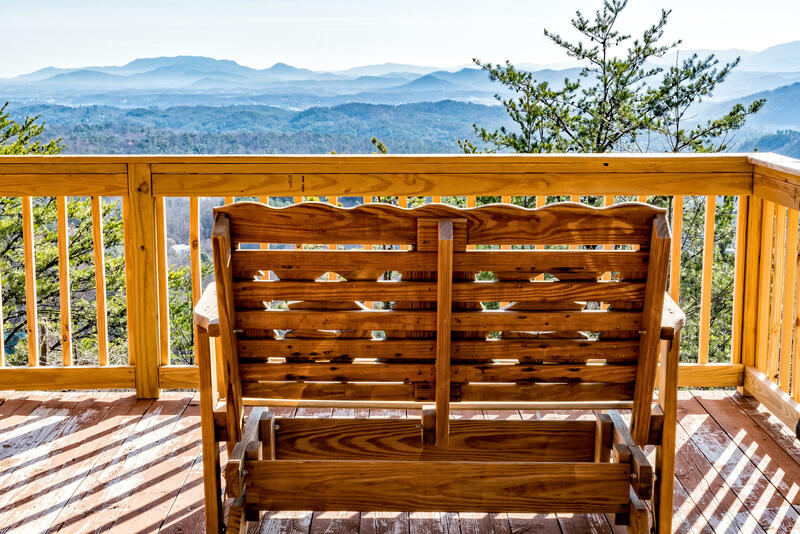 In the morning, bask in the warmth of a cup of tea or coffee in the rocking chairs on the second floor porch and watch the sunrise over the mountains. 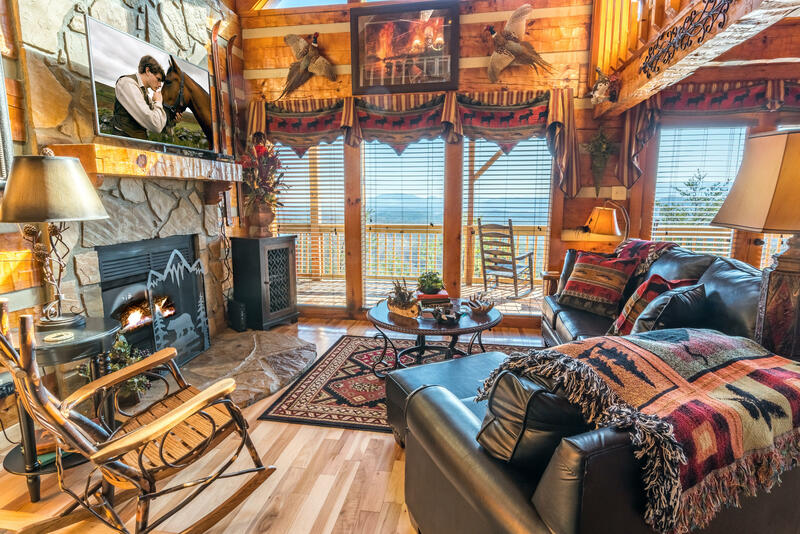 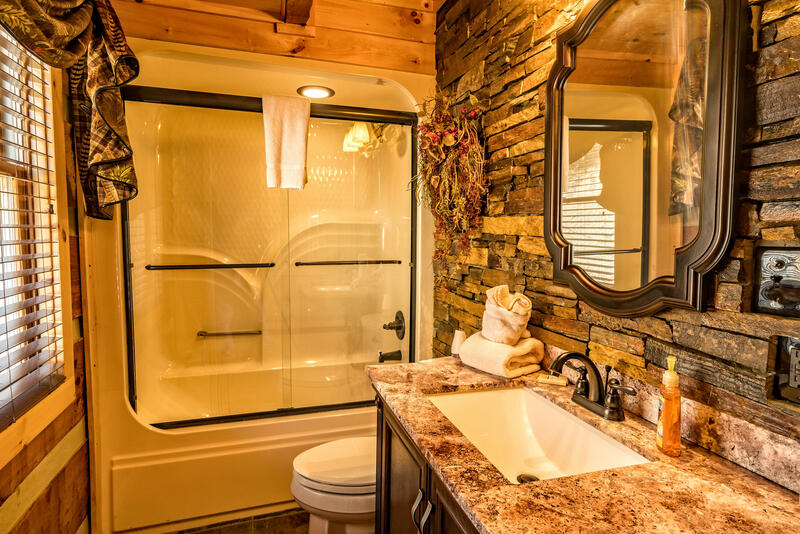 If you are searching for the getaway that truly feels like you have left your cares behind, Ooh Myy is the cabin retreat you have been looking for!